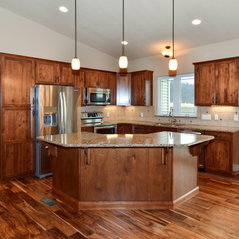 Keith Homes, owned and operated by Lewis & Cherie Keith since 1994, is a small-volume custom home builder committed to continual improvement and customer service. 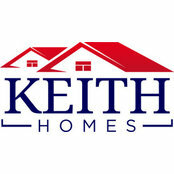 In the fall of 2010, Keith Homes welcomed Matt & Kim Keith into the company. 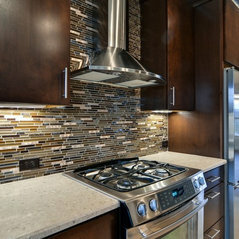 The company specializes in sustainable building techniques and quality craftsmanship. 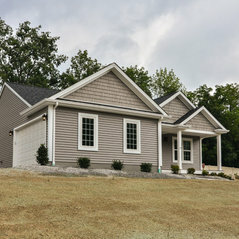 The Keiths won several Builder’s Association of Metropolitan Pittsburgh awards in 2013, including Best Green Energy Efficient House under $500,000. Buyers who choose Keith Homes will be working directly with the principals of the company to turn their dreams and wishes into a fabulous new home. Feel free to reach out to us, we would love to hear from you! 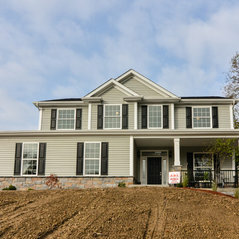 Keith homes built our new house. We were looking to downsize after living in a larger, older home. Our new house exceeds all of our expectations and it's very comfortable to live in. Commented: where can I get these cabinet pullsHi, I am sorry, the customer purchased those pulls on their own, and it was over three years ago now. We're not sure where they came from. Best of luck on your project! Commented: Floor?Hi, This floor was pre-finished. It is Lumber Liquidators' Riverton birch engineered wood. Best of luck with your project! Commented: WallsHi forevrlu, We use Sherwin Williams paint. The walls are SW7044 Amazing Gray. 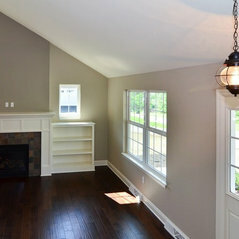 The fireplace bump is SW7045 Intellectual Gray. Best of luck on your project! Commented: RoofHi! The roofing is IKO Cambridge shingles. 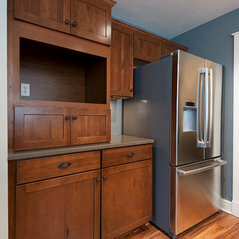 The color is &quot;Driftwood&quot;. Best of luck with your project!